When children discover “I am not alone,” they gain strength to face even the most difficult of trauma. 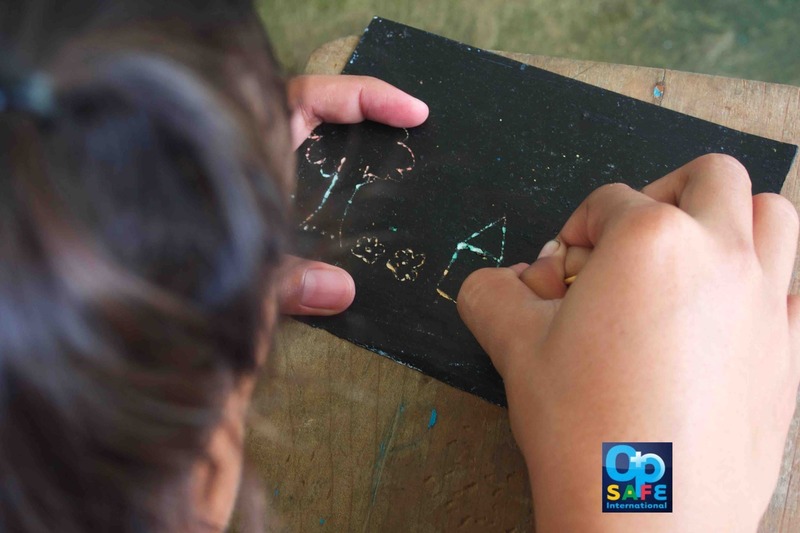 OperationSAFE camps are not targeted only at children who exhibit PTSD symptoms but include all of the children of a community. We have found that many times children are the most effective recovery partners for other children. Youth reaching out to help out younger children have found their own hurts and trauma lessened as they walk together with others. 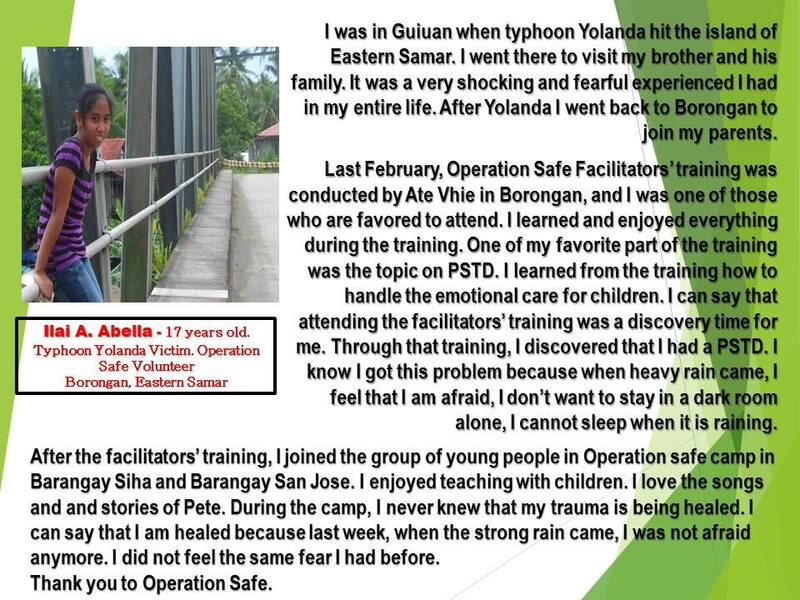 In Guiuan, East Samar in the Philippines a youth crew leader shared her story of healing after helping younger children.